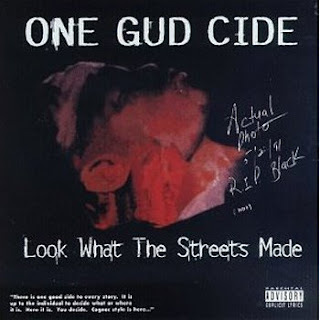 One Gud Cide is a group from Fort Worth, TX. The two members are Twisted Black and Evil Seed. The group was formed in 1991 but they didn't release any albums till 1995. The reason for this delay was member Twisted Black was shot in the face and lost half of his jaw. The actual photo of this tragedy is also on the album cover. Look What The Streets Made is their debut album and was released in 1995 on Scarred 4 Life Entertainment. Twisted Black produced most of the record. The beats are sick on this one. They are laced with that southern funk and some deep bass. Lyrics are exceptional. Both members are talented and have a unique flow which they use to portray their music with. 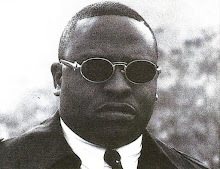 This album quickly gained a lot of success but it was interrupted once again when Twisted Black was sentenced to three years in prison for a parole violation. Their last album was released in 1999 and the group broke up in 2002. In 2006, Twisted Black was sentenced to life in prison after being convicted of conspiracy to distribute cocaine. Its a shame to see such raw talent go to waste. Awesome album !! Real lyrics, laid-back and funky music.